Raffle winners at our 2016 Charity & Cheer event! Networking at our 2016 Charity & Cheer event! 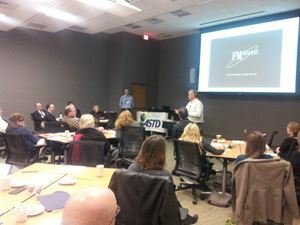 Photo from Lee Johnsen's Off-site and On the Mark: Virtual Teams, Real Results presentation during our April 2015 meeting at Amica. 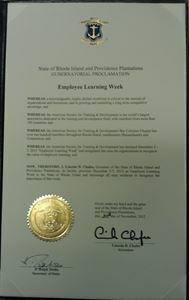 Governor Chafee's 2012 Employee Learning Week Proclamation! 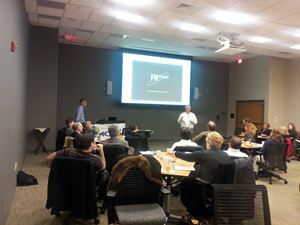 Our hosts at FM Global for our Chapter event on December9, 2011. Learning about the benefits of podcasts to enhance skills. 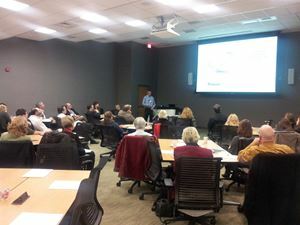 A special thanks to FM Global for sharing their talent and expertise, as well as their lovely facility to host our Chapter meeting.